May 15, 2018 -- Dental practice owners are consistently looking for new methods to improve margins while continuing to offer high-quality care to patients. Though compliance is often looked on as a burden on staff or treated as an afterthought, an effective compliance management system can streamline processes, create operational efficiency, and maximize revenue. However, with an inefficient compliance process, innumerable problems can arise. This is why it is so surprising that many dentists still rely on manual methods to track compliance. Most offices use stacks of manuals that are rarely updated and stored in hard-to-find places. This can quickly become unreliable as industry regulations frequently change. This means that key staff members must dedicate significant effort to organizing, updating, and tracking files -- time that would be better spent focusing on business goals. Further, these generic manuals are usually purchased from a third-party dental supplier and may provide limited value to a specific office. Often, they aren't even purchased until a dentist is concerned about an audit. Failure to follow federal, state, and local regulations can have disastrous effects on any practice. Offices that do not prioritize compliance leave themselves vulnerable to hefty fines and lawsuits while missing a great opportunity for success. Not all systems will provide the same efficiencies. Some practices have implemented new technology to manage compliance, using separate systems that may be expensive and require dedicated staff to manage and maintain. In addition to performing administrative tasks, employees must spend time using each individual system to track data, file documents, and update information. Consolidating employee training, provider credentialing, policies and procedures, safety plans and data sheets, incident reporting, and more into a single system may offer the greatest value to a dental office. When assessing your practice for areas of improvement, consider the following benefits of an all-in-one, cloud-based compliance management suite. By housing all necessary tools in one portal, employees have all the information they need at their fingertips. Redundant work across multiple software programs is eliminated, as is the need to remember and protect multiple logins and passwords. Each staff member can also easily access required training, view updates to policies and procedures, and submit incident reports. By using a cloud-based platform, all critical information is available instantly. Additionally, a compliance management suite that includes a provider credentialing tool can save administrative staff even more time and effort. With credentialing, enrollment, and license renewals handled automatically, practices can ensure provider information stays accurate and no payment lapses occur. These tools create a more collaborative and productive office. By easing the burden of mundane, time-consuming tasks, administrators are free to focus on other priorities, such as patient care. Plus, as your business grows, your staff will be fully prepared to keep things running smoothly. Consistent and reliable staff members with good communication skills are essential to running a successful practice. Providing quality training programs is a great way to cultivate a solid team. With an engaging, interactive learning experience, employees will take ownership of their education and unlock their full potential. In turn, better employee education and retention will directly result in a higher level of patient care. By combining compliance and learning management into one system, practice managers can easily streamline the onboarding experience for new employees and maintain continuing education requirements for current staff. Practices can ensure they remain in compliance with timely new-hire training and yearly updates, such with the Health Insurance Portability and Accountability Act (HIPAA) and Occupational Safety and Health Administration (OSHA) courses. A learning management system that offers custom courses in addition to its standard library can provide added value. By utilizing custom content, employees will be trained on your specific procedures and be prepared for the unique challenges that affect your practice. Dental practices are under scrutiny from federal regulatory agencies such as OSHA, the Office of Civil Rights, and the Centers for Medicare and Medicaid Services. Requirements are updated constantly and may become more stringent at the state and local levels. These regulations make it hard to streamline procedures to benefit the public. Most of the time, dentists don't even know what the regulations are or if they affect their practice at all. They usually have to ask for forgiveness after a call or visit by one of the regulatory agencies. If violations are found during inspections and audits, practices could face tens of thousands of dollars in fines or even shutdowns. By using a compliance management suite, practices can ensure they remain in compliance with applicable regulations, including reimbursements, licensing and certifications, safety regulations, patient privacy laws, infection control standards, and more. After employees complete required courses, an all-in-one system can track, store, and report on all required training documentation. This documentation will then be readily accessible in a secure document management portal in the case of an audit. An all-in-one suite can also help reduce workplace accidents and control the spread of disease. The system should provide courses for required employee safety training, such as HIPAA, OSHA, blood-borne pathogens, and instrument sterilization. Properly trained employees will then be able to monitor workplace operations for compliance with these safety and privacy standards. Additionally, creating and maintaining safety plans, safety data sheets, and contingency plans are necessary to foster a safe workspace. With all documents created and stored in one system, offices can improve day-to-day safety. In the event that an accident does occur, practices will be prepared to report the incident with all necessary documentation. Every dental practice wants to grow a strong client base by providing the best possible patient experience. Unfortunately, time-consuming administrative tasks often leave clinical and nonclinical staff with little time to effectively interact with patients. Poor communication can leave patients confused about treatment plans, frustrated with payments, and less likely to return for future visits. By simplifying operations, compliance can be effortlessly maintained, and administrative staff and providers can focus time and energy on improving the patient experience. 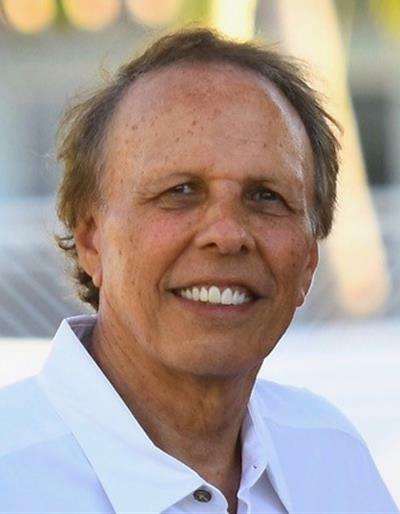 Kenneth Gallion, DDS, practices dentistry in Redlands, CA. He is currently a member of the board of directors for MedTrainer. He can be reached via email here.